The former Chairman of the Senate Appropriation Committee, Dr Iyiola Omisore has accused Osun State Governor, Ogbeni Rauf Aregbesola of plunging the state into a huge debt, to the tune of N416bn. Omisore, through his media aide, Mr Jide Fatokun, in a press statement made available to journalists on Saturday said with the huge debt incurred by the state government, the 2018 budget, recently presented to the House of Assembly was a product of bankruptcy and paucity of knowledge in public finance. 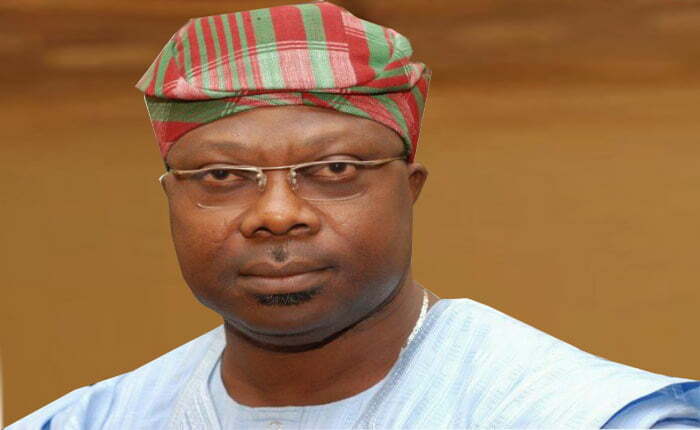 Omisore queried why the Aregbesola-led administration will continue to blame the previous administration for socio-economic challenges in the state, describing it as a reflection of administrative incompetence. He accused Osun government of owing salaries and allowances of workers to the tune of N119bn. He alleged that the cost of airport project located at Ido-osun had been inflated. “Osun government remains unaccountable for the Paris Club refund, yet it has the audacity to present a budget it can neither fund nor execute. “The examination of the feasibility and credibility of public sector budgets is a matter for everyone, in which the current Osun state budget not only an indication of incompetence and bankruptcy, but also reflects absolute lack of knowledge of public financing and appropriations process. “It remains very sad that after almost 8 years of the Rauf Aregbesola-led APC government in the state, its leadership still whines in its incompetent game of blaming previous administration, a glaring sign of its inability to respond to the budget issues raised”, Omisore stressed. The earstwhile Deputy Governor however promised to restore competent and visionary leadership that will change the state’s economy for better, citing some of his achievements while he held sway as a senator representing Osun East Senatorial District.